Seikoh Giken commenced the development of optical fiber connection components in the 1980s, before communication through “optics” became widespread. 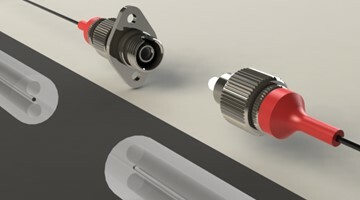 Utilizing the sophisticated polishing technologies fostered through precision metal machining, we have been providing high quality optical connection components to the markets and have enjoyed approving feedback from many customers. We are committed to continuing to supply valuable products to the expanding optical communications market and to contribute to the global exchange and distribution of information. 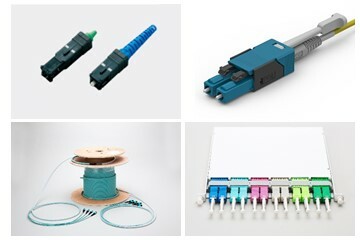 Seikoh Giken manufactures optical communications components for a wide range of applications, using optical fibers, ferrules, and other materials. 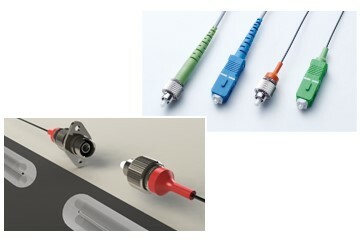 Optical communications components are used in various locations within the optical communication networks built by communication system companies where they serve their respective functions. Communication service providers who run the optical fiber networks provide comfortable communication environments to end-users through these optical communication networks. 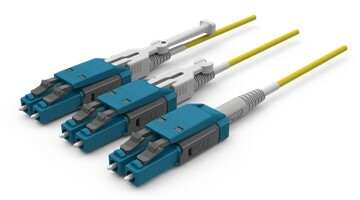 Creating flawless optical communication environments requires components that reliably connect fiber with fiber and that transmit without loss of information (optical signals) disseminated from the source to the recipient. In this field, Seikoh Giken developed the APC (Angled Physical Contact) connector, a global first, which significantly reduces reflection at the connection surface. This technology was subsequently certified as the common global standard. 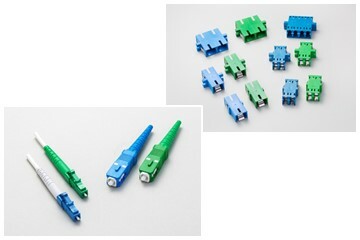 Today, it continues to be a major strength of Seikoh Giken to provide the full range of components and parts for optical connections, from ferrules, housings, and adapters for all types of SC, LC, FC, and MU connectors as well as jumper cables linking connectors and optical fiber, as well as machinery for polishing connector faces. Optical communication networks consist of many different optical devices that fulfill a variety of functions. With video-on-demand over the internet becoming widespread and with the progressing proliferation of smartphones and tablet terminals, the information volumes transported by optical communication networks have been growing at a quickening pace. In this environment, Seikoh Giken has been developing devices for the many different functions required by the advanced optical communication market, such as polarization maintaining (PM) connectors required for coherent optical communication for effective next-generation high-speed, high-volume data transfers along with the necessary jumper cables and optical attenuators used for reducing light strength to an appropriate level. Optical fiber is now going into every home. Shuttered SC Connector has safety function to protect customers' eyes against the optical beam. 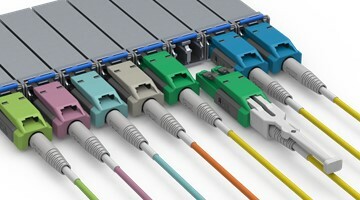 Data center is now needing ultra-high-dense cabling installation. Intelli-Cross Series LC Uniboot Connector save and reduce approxmately 30% space of installation. 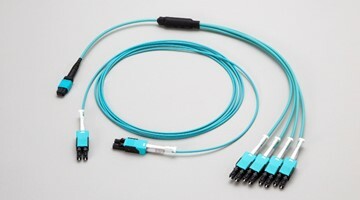 Seikoh Giken continue to develop new products for optical fiber connectivity applications to secure reliable interconnection. To enable us to efficiently supply Seikoh Giken’s products for the proliferation of optical communication networks around the world, we have established distributors in various countries including Europe, USA, and China. 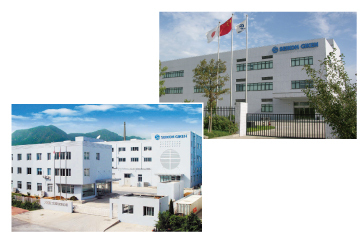 Many optical communications components are produced at Seikoh Giken Hangzhou Co., Ltd. and Seikoh Giken Dalian Co., Ltd. in China. Products according to the specifications required by customers are manufactured under strict quality controls using high-grade materials both locally-sourced and Japan-made. Seikoh Giken makes sustained efforts to create supply chains convenient for customers covering the range from ordering to delivery and after-sales servicing.